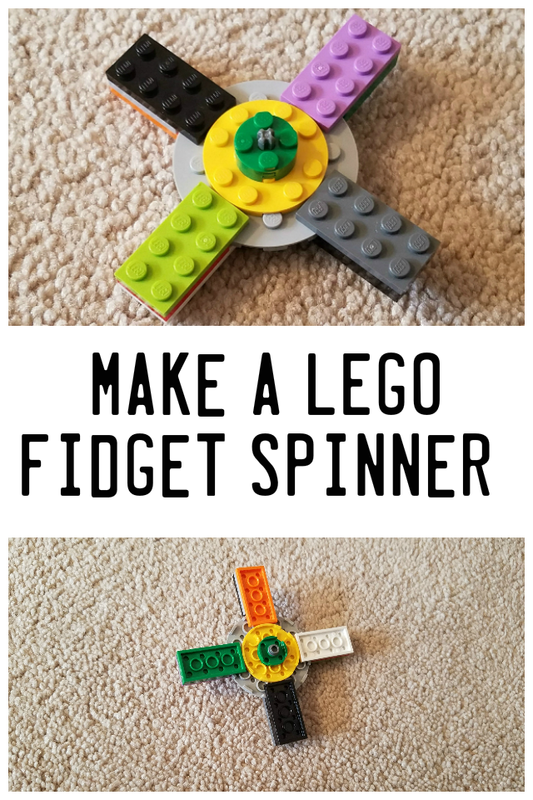 Make a LEGO Fidget Spinner! If you’ve got kids, they’ve probably gone ga-ga over the newest trendy toy – fidget spinners. They’ve been around for awhile, used by kids with autism or ADHD, though there’s no proof that they provide any benefit for those disorders. Your basic fidget spinner consists of three prongs with bearings in the middle around a circular middle. You can spin it on a flat surface or between your thumb and forefinger. Many folks have taken to inventing fidget spinner tricks and uploading videos of them to YouTube. Saturday Night Live did a parody ad for a Cartier version of a fidget spinner for wealthy adults. Schools have been banning the distracting little devices. My 7-year-old is now limited to playing with her fidget spinners at home. 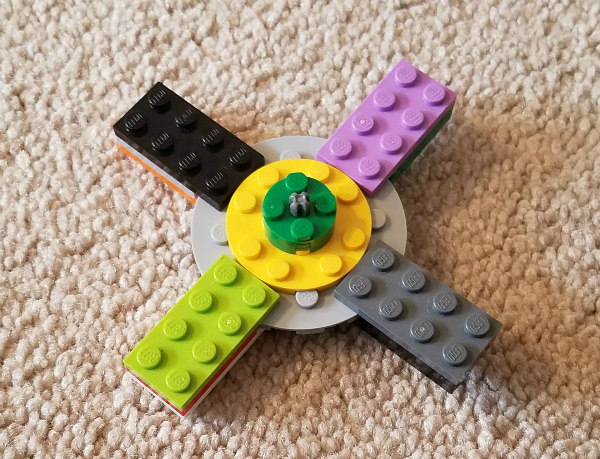 I was thrilled to find instructions on Frugal Fun for Boys and Girls on how to make a LEGO fidget spinner. You can find all of the LEGO bricks you need on eBay , though I missed buying some of the bricks I needed and had to improvise a bit. Therefore, my LEGO fidget spinner only spins on a flat surface. My daughter and I thoroughly enjoyed the LEGO fidget spinner project, and I’m sharing our results here. Head on over to the link above if you’d like to make your own LEGO fidget spinner. It was easy to make and tons of fun. If you’d like to buy actual fidget spinners, leave me a comment below, and I’ll direct you to someone who sells them.